Client testimonials help us to tell our story, so much better than we tell it ourselves! If you have a client testimonial, please share it! First of all, I am taking a raw food class from a lady by the name of Mary Elizabeth. She asked about who I was seeing for setting me up with the candida and heavy metal detox program. I emailed her your website and sounds like she might be getting in contact with you. I know you can help to guide her through what she needs because of how you have been so kind and helpful in my recovery. Update: I am up to 3 tsp of Fermplus and wow this stuff works...I am tired and achy and know this stuff takes no prisoners in killing off the candida. Have been back down to 5-6 drops of zeolite. As the candida dies off I will work at increasing the dose of the zeolite...who knows maybe this candida might have some influence on the dosage of the zeolite and as it dies off it might be easier for heavy metal removal. Sure is worth finding out...in any event I am in this for the long haul. Just have to watch my energy level as I am getting calls from agents for auditions and involved in acting class and a skit at church. So if I am feeling tired I just back down on the dosage and increase as I can. The age spots on my skin are slowly fading and my face looks so much better...more even skin tone. I even went to the chiropractor yesterday after not having seen her since November and just had minor adjustments. Here is a girl who used to go once a week because I was so "out". My neck is not as locked up and I can turn it with less pain and crunching sound. I know this will help in the long run with my memory...especially now that I am doing more memorization of lines for acting parts. Yes, I will keep you posted if I get on any shows or commercials! I hope you are having a wonderful day. 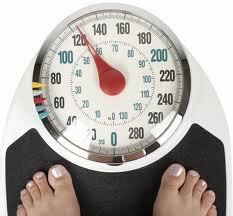 I am, I just want to tell you that I lost 1.6 pounds. From 181.6 total 6.6 pounds Hurray!!! So far so good. Today is the third day. 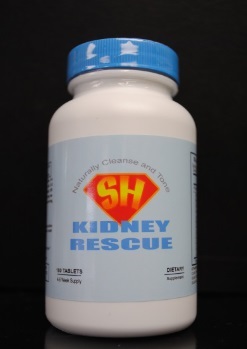 The SH Zeolites have helped so much, I know my headache is not lack of water in my system, it is toxins. Thank you so much for doing this for people me that needs help felling better and for helping all people that need to lose weight. 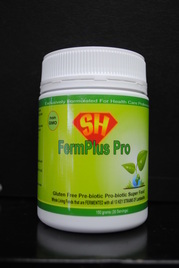 I wanted to let you know, I have been taking the Significant Healing Probiotic [FermPlus Pro] for about 5 weeks now, since you recommending for my weird flaky skin patches on my face and dairy intolerance. My skin is 90% better. I'm thrilled. I'm still minimizing milk products, but I could be fine in that regard, too. I want to let you know that I am no longer having hot flashes. At least not in the last 3 weeks. As I was packing and moving, I realized I couldn't remember the last time I had one. I'm so happy!! I'm so excited and wanted to share this with you and say thanks again. I had my annual medical check up yesterday for insurance discount and, thanks to you, my blood pressure was 120/82. I was so excited!! I have learned so much about my health and wellness from Victoria and I feel great! My body is working the way it's supposed to, and when I do hit a bump, Victoria shows me how to get over it, and it works fast for me. As well, I spend less money with the medical doctor because I am healthier. In 2011 I had my initial visit with a laundry list of issues that no medical doctor had been able to explain. One of my main problems was a chronic stomach ache that would at times render me paralyzed with pain. The Iridology exam hit upon all the issues on my list without me uttering one word. With some simple changes in my life, especially in diet, my problems subsided almost instantly. The stomach issue that had eluded every medical doctor since I was 8 years old was easily fixed by balancing out the magnesium levels in my body. Victoria and her staff are Godsends; educating and helping many of my friends and family with GREAT success.